The Mass Media in Kenya is a vibrant industry. It includes daily newspapers, television and radio stations. The communications industry in Kenya is regulated by an independent authority, the Communications Commission of Kenya (CCK). 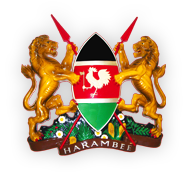 Its role is to license and regulate telecommunications, radio communication and postal/courier services in Kenya. This responsibility translates to several functions including: licensing (telecoms and postal/courier) operators; regulating tariffs for monopoly areas; establishing interconnection principles, type-approving communications equipment, managing the radio frequency spectrum and formulating telecommunication numbering schemes and assigning them to network operators. The two major newspapers by circulation are the Nation and the Standard Newspapers. Online editions of these newspapers are available. Television stations include the Kenya Broadcasting Corporation (KBC), Kenya Television Network (KTN), Nation Television (NTV), Citizen TV, K24, etc. Radio stations include KBC, Easy FM, Capital FM, Kiss 100, Radio Citizen, etc. Radio stations in local languages are also available.